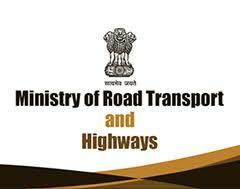 The Ministry of Road Transport & Highways has issued a notification increasing permissible truck axle load. The amendment lays down that the gross vehicle weight (GVW) will not exceed the total permissible safe axle weight as above and in no case shall exceed 49 tonnes in case of rigid vehicles and 55 tonnes in case of semi-articulated trailers and truck-trailers except modular hydraulic trailers. It further lays down that Modular hydraulic trailers can carry goods of indivisible nature of any load subject to the regulatory approvals as may be required. Briefing correspondents about the decision in New Delhi yesterday Nitin Gadkari, Minister of Road Transport & Highways, Shipping, Water Resources, River Development and Ganga Rejuvenation said the decision to increase axle load was taken with a view to help in increasing the carrying capacity of goods transport vehicles and bring down logistics cost. He said the amendment will increase the carrying capacity of goods vehicles by about 20-25% and lower logistics costs by about 2%.